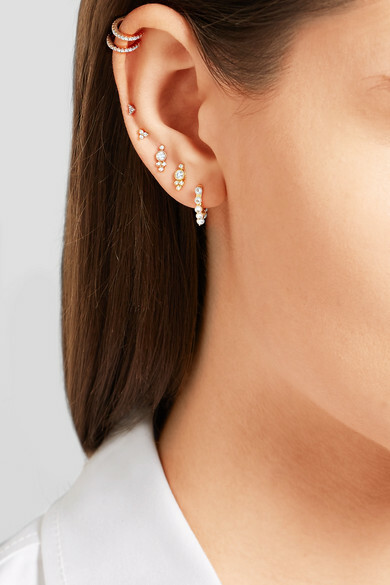 Maria Tash's passion for body piercings was sparked by the Indian and Pakistani designs she saw while studying in London. 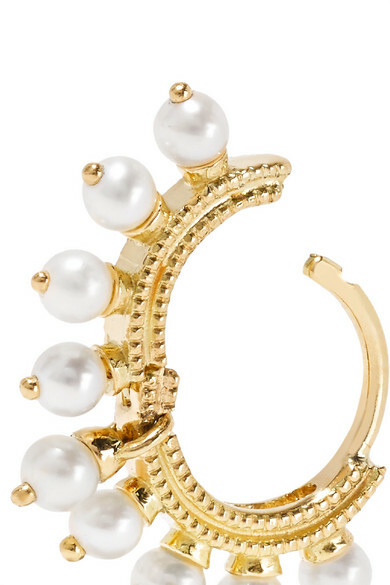 This hoop earring is crafted from 14-karat gold and edged with an intricate milgrain pattern. 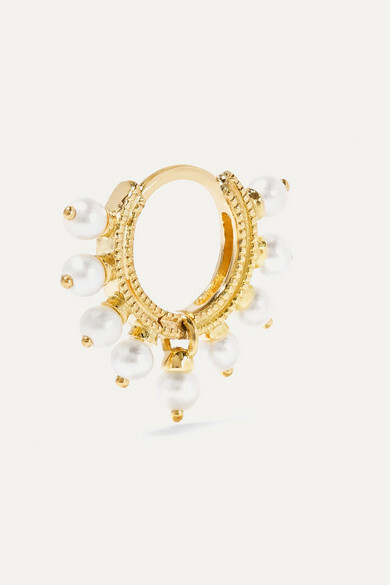 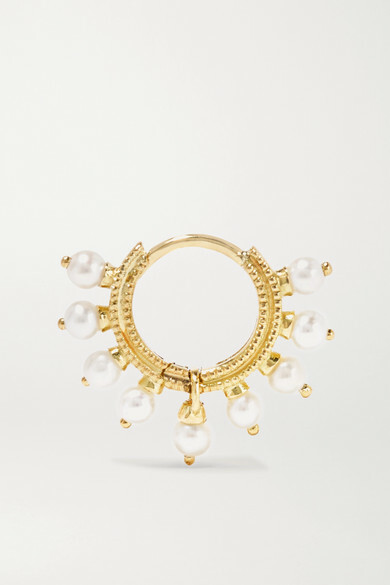 It features a halo of lustrous pearls and a single charm in the center that allows for the hinge to open and close easily. 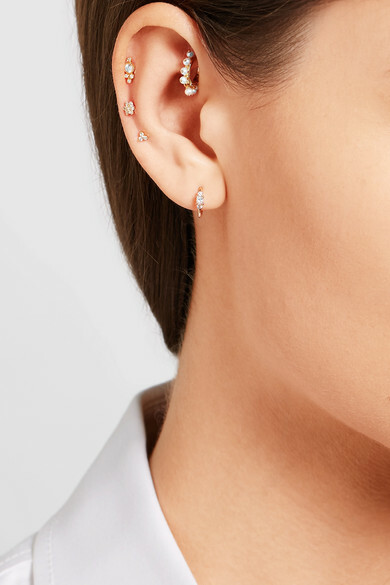 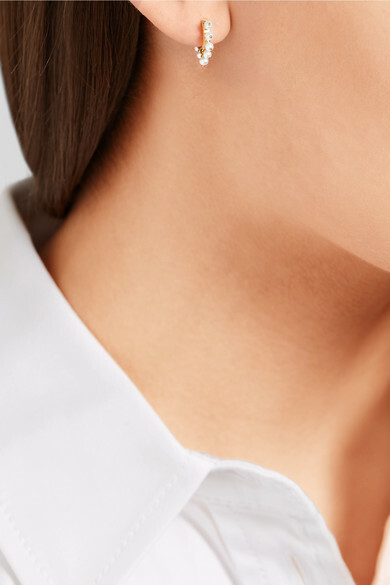 Shown here with: Jil Sander Shirt, Maria Tash Earring, Maria Tash Earrings, Maria Tash Ear cuff, Maria Tash Earring, Maria Tash Earring.